Infinity scarves are so great to wear AND so easy to make! They take up less yarn than a traditional scarf and usually less time as well when using comfy, cozy, chunky yarn. 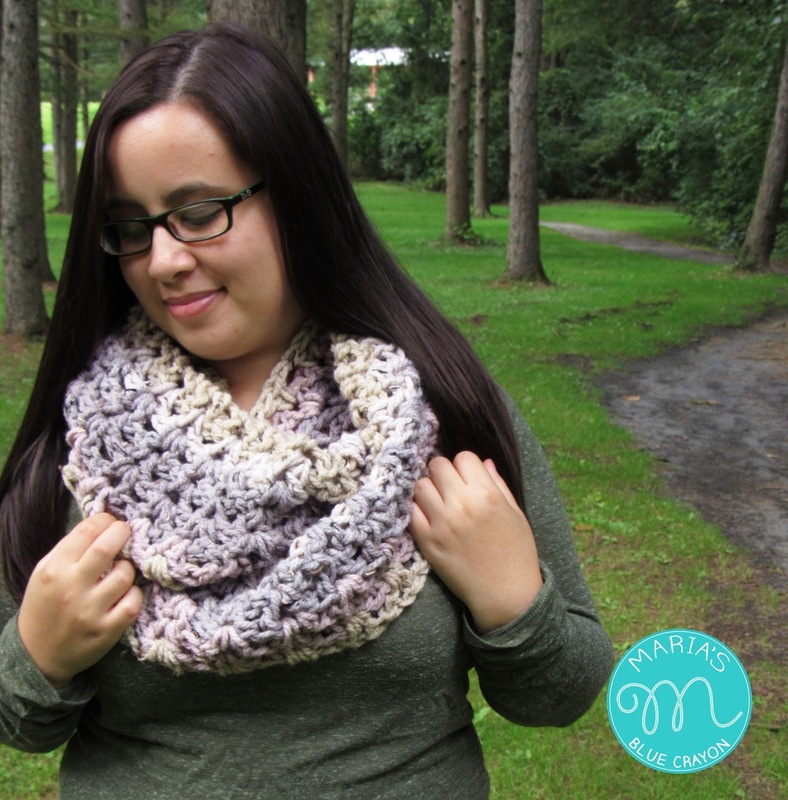 I’ve been loving on the new Caron cakes line and I made this quick infinity scarf with the new Caron Sprinkle Cake. 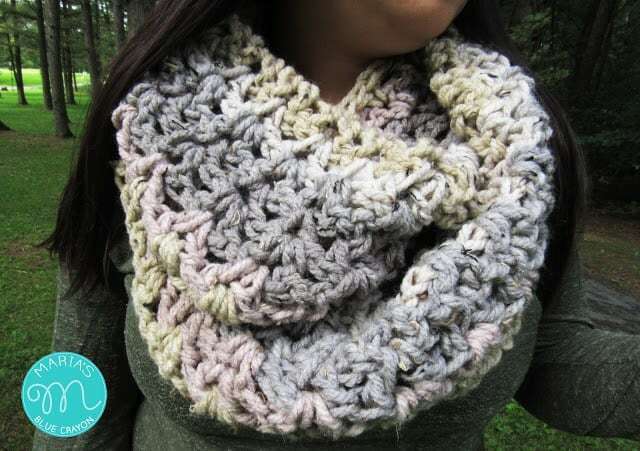 I also made a traditional scarf with a Caron Tea Cake that you can find the free pattern for here. 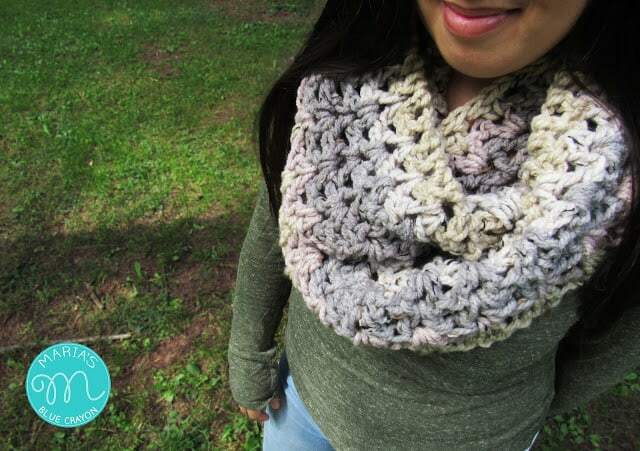 PIN IT TO YOUR CROCHET BOARD ON PINTEREST. WANT MORE FREE PDF DOWNLOADS? love this pattern! will be whipping some for fall and holiday gifts! thanks for sharing! since this yarn is discontinued, what can we use as a substitute?